Tourists coming to India will have their first culture shock when they come out of the airport. First thing they will notice that India is one crowded country, too many people walking around, people wanting to talk to you or staring at you, some even offering you to take you to hotels and so on. The second shock comes in quite unexpected. As soon as you walk in a public toilet you will notice that toilets are different to what they are used to. You may not notice this at the hotel as most hotels will have western style toilets. Depending what part of the world you are coming from, you will notice that the Indian toilets are like a hole in the ground. It’s not exactly the same as the pit latrines or the makeshift squat-holes you will find in sub-Saharan Africa but close. But there you have it, these are the traditional latrines used in all over India. You will find these types of squat toilets in many places in India including trains. Unless you are travelling on the Maharaja express you are bound to encounter squat toilets. You will be forgiven to think, how on earth people take their dump. First things first, don’t panic, it’s quite simple. Also known as the squat toilets, they are pretty simple to use. It’s used in many countries around the world including Japan. All you need to do is take your pants down, yes take them all down including your undergarments and hang them on the hook on the toilet door. Make sure they are hung properly otherwise they might drop and get wet or dirty. You can always pull them half down to the knees but there is a remote possibility of getting them wet even soiled if you haven’t done this before. Then sit down on the ceramic commode in a squat position. This goes for both men and women. You will require the extensive use of muscles, hamstrings, tendons and ligaments. They will include hip flexors and extensors, knee flexors and extensors, lateral and medial hip rotators. It’s a good exercise, wouldn’t you say. It sure will make you fit in no time. Think of it like the gym lifting Olympic weights sitting across your shoulders in a squat position. Those are half squats, now just be brave and get down to your knees and perform the full squat. So you see, there are natural benefits of squatting as well. It might be uncomfortable in the beginning but believe me, it’s not that bad, and you might even like it. It’s all about practice. Anyway, take a dump. Try to aim in the hole. Oh by the way, make sure before you couch down that there is a bucket of water in the bathroom otherwise you are out of luck. Indians like to use water rather than toilet paper and it is unlikely that you will find a bidet in a public location. Anyway, fill the mug of water and wash your backside with your left hand with multiple washes and make sure it’s thoroughly washed. It may seem strange at first washing your own backside with your hand, but that’s the way majority of the Indians do it. If this is your first time, you might even like it and discover something you never knew about yourself. As a matter of fact, squatting is a good you. It has been suggested that those using the squat toilets are less likely to suffer from colon cancer. The rationale behind is that squatting empties the bowels completely while in the western styles, some crap remains in the colon and over a period of time it stiffens leading to cancer of the bowel (sorry no references). Now get up, pull the flush chain, and wash your hands in the sink. 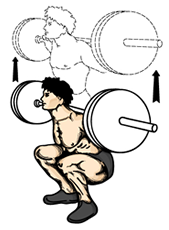 It might be a little difficult to stand up from the squat or crouch. Often you might not find soap as health and hygienic education is poor in India. You should have checked this before you couched down. This is what I call tough luck. If you did find soap or you’ve got your own, wash your hands thoroughly. You might need to wash several times to wash the faecal matter off your hands. Now you’re done. Put your pants back on and walk out and enjoy the rest of the day. Don’t let cultural factors ruin your latrine use. I would like to hear about your experiences of your stay in India and your use of Indian toilets. Thank you for the instructions Shalu and I think most people who travel have seen this kind of toilet before 🙂 Anyway, it’s fun to see the confused face of someone who hasn’t seen those before. You are welcome Mariella. Its one of those essential things that has to be mentioned. Thanks for your comment. Its one of those things, that must be confronted. Shalu. I have never seen a blog post like this before. 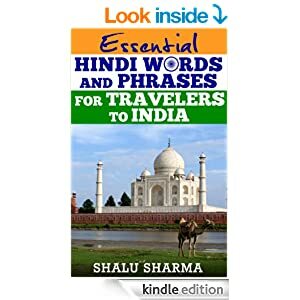 I am sure that it has helped many tourists! What do people do who have physical disabilities? I don’t think that I could squat like that anymore! I think it might be a little difficult for those with physical disabilities but in India people still do it. Never though of this. Now I understand why the university near me has ‘do not squat’ pictures on the toilet walls. Next to these are visual instructions on how to utilise the western style toilet facilities. This is the first article I’ve seen which suggests that you take your clothes completely off to use a squat toilet. I could never do that, as I’d feel too vulnerable. Maybe the lock on the door doesn’t work right, and someone may walk in on you…eek! In any travel that you do, you should always pack a your hygienic resources because you can’t be too sure of the ones provided in your area. You should also have the knowledge of the hygiene and health issues in the said place so you would know where to have your hygienic rituals. Indeed one needs to be prepared for their hygienic needs before going anywhere. This is so helpful Shalu. Those were excellent and much needed tips. I cannot believe how you laid it down so plain and simple. When I was healthy, it was okay for me. Now that I am partially handicapped, suddenly I have realized how basic toilets are hard to use. It is sad that the toilets in India are not friendly for handicapped or differently abled people. I do not agree with the remove all your clothes bit. You can use it without removing the undergarments entirely. Anyways, things need to change and for the better. I am hopeful. Thanks Latha for your nice comments. I know what you mean about government funded places. 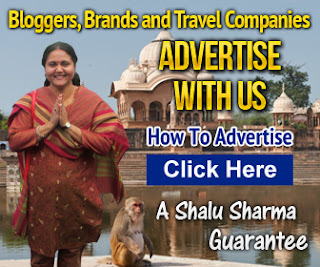 Hello Shalu, this is very informative article, thank you! Here in my country we have these toilets like in India and we use water. For foreigners traveling, you should always be conscious to learn where you are going and if there is a western (high) toilet available. Purchase yourself a pocket tissue paper and there is a pocket soap/paper soap you can keep with you everytime. I hope this will save you in tough situations! Daniel, aha in such a situation bowel movement is not recommended. We recently visited India and found the conditions of toilets generally very bad throughout India (Mumbai, Goa, Chennai, Munnar, Kochi). This was due not only to the squat toilets but also, to the use of water in the normal toilets. Very often the water is lying all over the floor and this makes it very unpleasant as one does not know if it is water or urine lying all over. We experienced this not only at airports, but also at some 5 star resorts and hotels. With all due respect to cultural traditions and age old toilet habits, I think it is time that squat toilets as well as the use of water should be done away with in public places in India. Water can be replaced by wet toilet paper which would serve the same purpose and is more hygienic. Just make sure that the toilets are adapted to flush the wet toilet paper down. I know exactly what you mean about the wetness of the floor in the toilets and bathrooms. As far as the wet floors is concerned, this could be due to the fact that Indians use water to wash their backside. In addition, there are taps that you can use to draw water in buckets. Hence some of them them might be spilling on the floor. Indians will not be able to adopt to western style toilets. Hence it will remain a fact of life for tourists visiting India. I am amazed and surprised by the conditions of the 5 star hotels. Which ones did you stay in? So scratch India off my bucket list then and never shake hands with Indians.. gotcha and thank you. @Jack So what makes you think that the hand that wiped the arse with toilet paper is cleaner? At least these wet washers use soap afterwards, but the TP wipers will just pull up the pants and walk away. Sorry Shalu to have reacted strongly. Jack, do you use your left hand for shaking hands? Typical coming from an Australian. Same with most of the toilets in China. 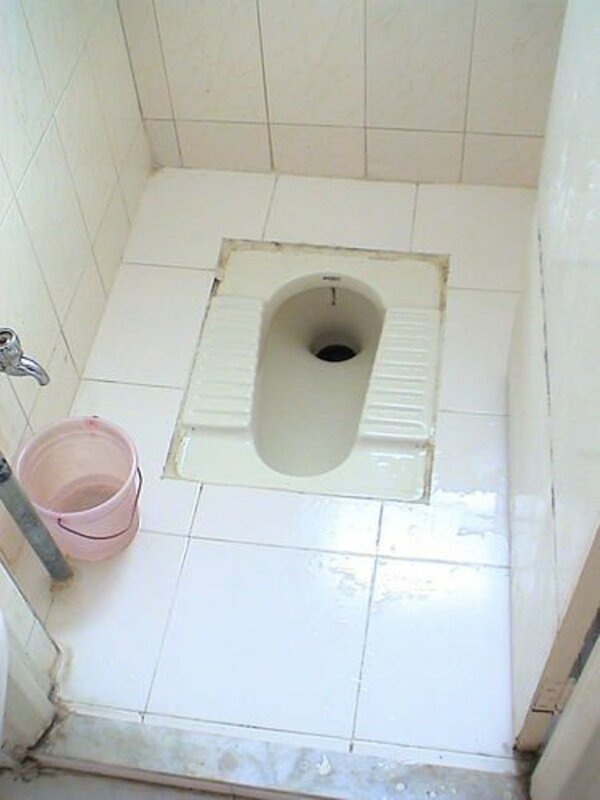 Had traveled to China for most part of 2003-2008 and this is the toilet situation at that time, not so much with big hotels though. 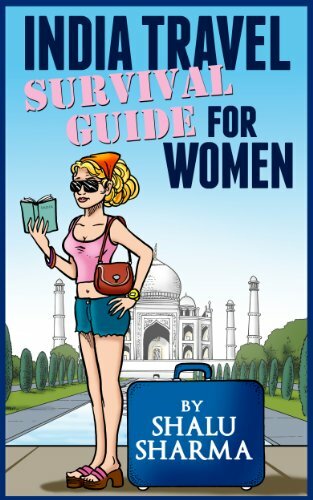 Amazing tips,it is experienced at airports, also at some 5 star resorts and hotels. we do have this in old schools in italy! when you use it, I would advice to cross your arms and put your hands over your knees, maybe even lay a bit forward; it’s a comfortable position. i would also advice not tu push down skirts but to gather the hem in your hands and keep it up (unless you wear a mini, push your skirt down is a guaranteed disaster). Excellent Rita. Certainly will try your position. Thanks for the tip. I’m thinking is it easy to use than commode? 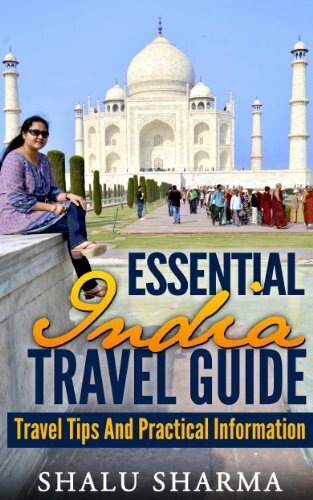 Great read, Shalu! I’m a fan of Indian culture (and food of course!) and the idea behind squatting over the toilet is something I wish more Westerners understood. It’s so much healthier for your body! I hope you don’t mind but I linked to your site in a recent post of mine highlighting toilet stools and how they can help us westerns use the toilet better. You can find it at the Toiletops Blog site. Do men in India usually squat when they urinate, while using a squat toilet (as to reduce the likelihood of accidentally peeing over the floor)? This is more relevant when visiting someone’s private house… What is the custom in India? There is no such tradition of squatting while peeeing. I don’t think you can squat if you have no legs. Western styled toilet would be ideal. well Explained, But I think now in India also western toilets are most used.